Montabert S.A.S. is a leader in hydraulic demolition and drilling equipment for use in demolition, construction and more. We are known worldwide for the design, production and distribution of rock drill products and rock breakers and have manufacturing facilities in Saint-Priest (Lyon), France. We are proud of the generations of men and women who helped to build this great company. We know that our history is the foundation of our future. 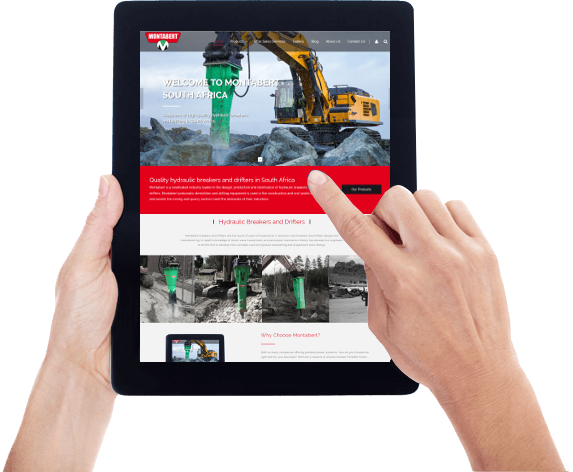 Our company was founded in 1921 by Joannes Montabert as Montabert S.A, a manufacturer of pneumatic equipment that would introduce the first hydraulic concrete breakers and drifters. Through the initiative of Suzanne Montabert, the company expanded its product line and added the Sullivan Ikine line of products under license. Throughout all this, we have prided ourselves on always producing a great range of high quality products. The company continued to grow from strength to strength and in 1949 Roger Montabert, Managing Director, increased the sales of hammers through the creation of a Research and Development Department. An Export Department was opened in 1961 and Montabert subsidiaries were created in locations across Europe. This culminated with Montabert pioneering the first ever handheld jackhammer powered by hydraulics. The transition from pneumatic to hydraulics led to more advancements in the hydraulics industry. In 1969 Montabert introduced the first hydraulic rock breaker, BRH500, that could be attached to an excavator, beginning a successful hydraulic rock breaker product line. The hydraulic rock breaker became available worldwide. A year later, the company was awarded the Quality International Trophy as well as the Golden Lion for exceptional export achievements. The reputation of Montabert products increased further with the success of the Robofore drilling system and the launch of the BRV range of hydraulic breakers. The introduction of the BRV 65 model in 1999 added to the success of the BRV range and, in 2002, we were awarded ISO 9001 certification version 2000. In 2010, the business entered a new phase of its' history with the launch of the company’s first entry-level Blue Line hydraulic breaker range, complementing the existing line of award-winning hydraulic breakers and drifters.